Space heaters and hot plates are being distributed to Columbia Gas customers in the Merrimack Valley. Our attorneys urge residents using these devices to follow these safety tips. Do not plug into extension cords or power strips. Use on a level surface. Keep at least 3 feet away from furniture, bedding and other flammable materials. Keep children well away from space heaters. If it blows a fuse or trips the breaker, stop using it immediately. 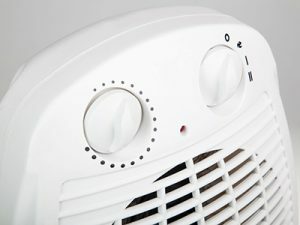 When you leave your house, consider locking your space heater up in a room which children cannot reach. Make sure it is unplugged. Use hot plates on a steady countertop. Keep a 1-foot circle of safety around your hot plate. Do not leave pots or pans on the hot plate. Stand with the hot plate while you are cooking. Keep children away from any cooking device. Always turn your hot plate off. Over the next few months, remember to test your smoke alarm batteries a few times each week. You can set up an alarm on your cell phone to help you remember. Breakstone, White & Gluck, a Boston personal injury law firm, is assisting residents and businesses affected by the Merrimack Valley gas explosions on Sept. 13. Many residents in Lawrence, Andover and North Andover will be recovering for a long time. We are assisting residents who suffered physical injuries, emotional distress and those facing the prospect of several months without gas service. Because of the uncertainty about gas service, it is important to learn your legal rights now. If you have lost your gas service, you may be entitled to file a claim for compensation from Columbia Gas, beyond what the gas company or a community fund may offer. Do not sign any paperwork accepting a payment without first speaking to a lawyer who is experienced in investigating home fires and gas explosions involving utilities. At Breakstone, White & Gluck, our lawyers are here to listen to your personal experience and really work to help you. Read about our past work. Learn your legal rights. For a free legal consultation, contact Breakstone, White & Gluck at 800-379-1244 or 617-723-7676 or use our contact form.